It’s nearly December and Medicare Annual Enrollment Period will soon be coming to an end, but for those looking to kick back their feet and breathe a sigh of relief, the marketing and sales work has only just begun! 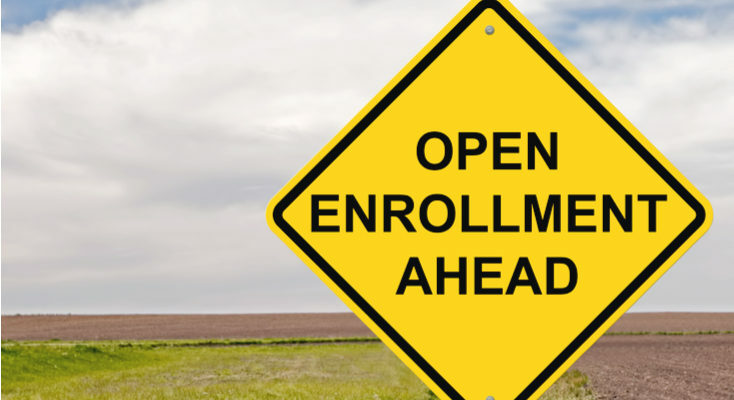 With the April release of the Final Rule by the Centers for Medicare & Medicaid Services (CMS) came the reinstatement of the Open Enrollment Period (OEP) for the 2019 plan year, which will run from January 1st to March 31st. This means that the new members you acquired during AEP have three months to switch, should their on-boarding experience have been less than satisfactory. During OEP, individuals enrolled in a Medicare Advantage (MA) plan are able to dis-enroll and make a one-time election to go to another MA plan or to return to Original Medicare, with or without a Medicare Part D Plan (PDP). Those enrolled in Original Medicare cannot use the OEP to join an MA plan though, nor can they join a PDP or switch. While some plans may be hesitant to invest in OEP, past data shows that many beneficiaries do indeed switch during this time, making it just as important if not more important than AEP. Clients of Cavulus were processing 20-40% of their AEP application volume in the former OEP, according to their VP of Strategy, Cheryl O’Sullivan. In this year’s OEP, CMS expects approximately 558,000 Medicare beneficiaries will use the OEP to make an enrollment change. With these allowances, health plans need to prepare comprehensive member acquisition and retention strategies for OEP while also addressing the back-end internal processes that influence customer experience. While brokers cannot intentionally target or market to Medicare Advantage or Part D enrollees during OEP, they can fulfill requests for information on the OEP, as well as requests for marketing materials and one-one-one meetings. They can also continue marketing to other potential enrollment candidates, such as New to Medicare Age-Ins. While Age-Ins have Initial Enrollment Periods that are based on the date of their 65th birthday, it’s a good idea to give your marketing an additional push in the beginning of next year, when many plans will be running brand campaigns that will raise their profile among this market. As long as your campaigns do not consciously target those who already made an enrollment decision, it’s safe to send during OEP. Plans must ensure that their sales teams are not only trained on the policies of OEP, but equipped with the tools needed to respond to direct inquiries. One of the tools our clients’ broker teams utilize to quickly fulfill requests for marketing materials, such as pre-sale kits, is an online ordering portal that allows brokers to assemble, personalize and order materials for instant print-on-demand or eDelivery output. To support retention, plans can also use this tool to quickly and efficiently export hard copy requests for provider directories, formularies, and Evidence of Coverage (EOC) to their production partners in accordance with the three-day rule. Marketing and sales should focus on improving their customer touchpoints and validating why members chose to do business with them. The ANOC, a static letter that explains the plan changes for the next year, should not be the last piece a member receives from a plan before OEP. Plans need to individually take the time to recognize and thank their members for their continued business, creating personalized messages that grab attention and evoke emotion. Following the ANOC mailing, plans should send pieces that thank members for their business, reinforce the advantages of being a member, and direct them to updated contact information for help and support. Lack of education on benefits is one of the key causes of unenrollment. One confusing EOB that causes a member to think they owe more than they do can prompt plan reconsideration. Hosting local member education or community outreach events can be a great way to answer questions in a one-to-one environment that puts a human face to your brand. Events also lend themselves to digital advertising and TV , radio or social media promotion that can show your commitment to service to non-members in your coverage areas. Recognize the power of the data available to you, and utilize that data to develop communications to new and existing enrollees. Data from appeals & grievances, customer service complaints, and rejected claims can be used as leading indicators of member experience issues to be addressed. Analysis of this data can reveal members at greatest risk for disenrollment and help to create different risk segments. These segments can be used to prioritize and tailor outreach communication. Long-term, it can be used to support the creation of an attrition model that predicts members most likely to leave. Since the OEP allows members to switch to plans within the same contract, your member services and sales teams should be prepared to sell members on other options, as well as convince them to stay in their existing plan. It’s not just member services or sales that need know about OEP though. All staff need to understand that members are not locked in so they can prepare to escalate problems and understand how critical first quarter performance is to retaining the business won during AEP. Call center staff need to be need to be trained to reinforce the tone and messaging of your current marketing and advertising. Both they and sales should be provided with scripts for explaining why a member should stay, including any new personalized supplemental benefits. Outbound call campaigns to current members regarding key points in the ANOC will pay huge dividends, particularly if there are significant differences with drug coverage, cost structures, or provider network. Whether the changes are good or bad, calling your most vulnerable members to see if they have any questions about the changes can go a long way in securing retention and spotting potential switchers. The call shouldn’t be sales-y, but a friendly “we are here to help” call. Providing transparency, explaining plan options, and reinforcing positive changes will fend off competitors and bolster retention. For those unhappy with the changes, express that there are other options to explore, provide comparisons, and highlight the intrinsic elements of your business that make your member experience best-in-class, whether it be your user-friendly mobile app, personalized supplemental benefits or healthy rewards programs. Utilize branding to put your brand in the market during the OEP. Develop an effective, content-driven brand advertising campaign that can be deployed during this time, utilizing digital and traditional channels to ensure you stay relevant and top-of-mind for those that may be looking to make a switch. Running Google Adwords campaigns can work to capture the growing online shopping behaviors of seniors. As long as the ads do not mention OEP, they’re safe to run and can allow you to own the online space. Just ensure you have a landing page with high-value content in place to support. Operational performance is essential to delivering a superior member experience. IT should ensure all member portals and apps are in perfect running order for January 1st and that any issues as a result of change or updates are mitigated as quickly as possible. Key items to assess in advance of January include provider finder tools and preference management centers, ensuring channel preferences are being correctly captured and applied. Sales, call centers, and member services will quickly encounter new benefits and plan documents that are unclear to members amidst the frenzy of AEP, so plans need efficient mechanisms in place for sharing this information internally and addressing as quickly as possible. Your onboarding experience is more important than ever, as there’s no second chance to win-back customers from a bad first impression. Ways to make sure the experience is a seamless one include promptly sending an application confirmation that lets the individual know not just that there application has been received, but also when it will be approved by and when they can expect to receive their new ID card. Providing digital copies of ID cards immediately upon enrollment and a personalized welcome kit and/or email are also effective strategies, as well as making sure printed and online provider directory information is being regularly updated. Focusing on ways to enhance the customer’s onboarding experience within the first 90-days will help set consumer expectations for the life of the relationship, making their decision to move to a competitor more difficult. Engage Now to Stand Strong Next Year. For help optimizing your marketing and member retention programs for OEP, call 203-731-3555 or email inquiries@cierant.com for a complimentary consultation. From digital sales enablement tools to personalized cross-media member communications, we offer the software and services you need to come out ahead.